90% new body panels w/parts still in boxes. Prepped for black paint. 355 cu in SBC installed. Turbo 350 trans. Frame sandblasted & painted. new BF Goodrich tires mounted on original wheels w/rally trim rings & center caps. Have interior pieces. Needs glass, dash, wiring, chrome, radiator. $33,000 invested - sell for $25,000. 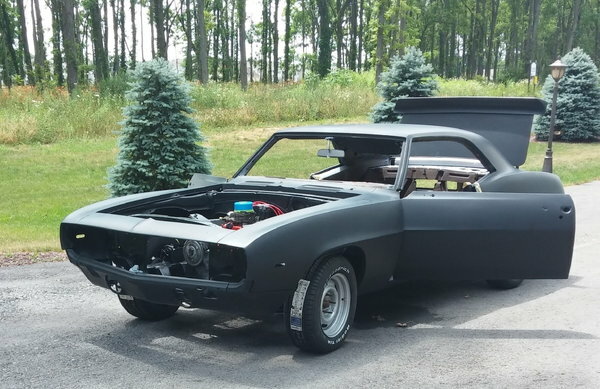 Started build as future show car...if you want a perfect '69, you need to start with a perfect body.